On Saturday Dijon arrived in Kockelscheuer with 10 skaters. When a team play against 18 skaters who has the same skill level or even higher, it will not be enough. 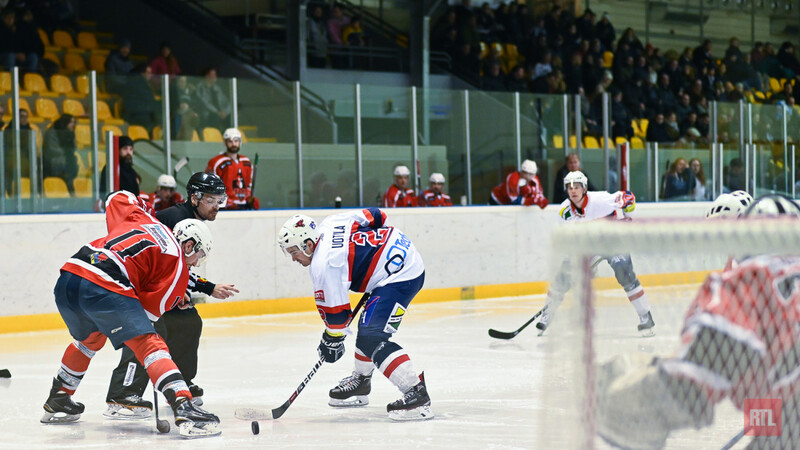 This battle in front of a good crowd ended with an easy 8-0 win for Tornados in the French 3rd division. From the beginning it was pretty clear which team would rule the game. After 4 minutes of play, Marcus Eriksson started the scoring on shorthanded. After that Jusse Lampsijärvi scored his first of the season after approximately two thousand attempts. He was followed by Ossi Uotila and Marcus Eriksson again. As Dijon couldn’t challenge Tornados, the rest of the game was a comfortable ride. Even though the game was clear, it was a big individual achievement for our young goalie, Jesper Miquel, to have his first shutout in seniors. Probably everyone in the stands could see his celebration after the game and also noticed from the game interview how big relief it was for him to achieve this milestone. Have to say that Jesper has improved a lot during his two seasons in the seniors and we can see that the whole team can trust on him in the net. Good job Jesper! In the last period every Tornado soul got a bit shocked after seeing our scoring leader, Henri Öörni, being slashed by a Dijon stick. Because of the incident, Henri had to go to hospital to get some stitches, but rumors from the night life of Luxembourg City reports the good news that Henri was capable to continue his performance in the normal way, despite, or maybe even thanks to 9 stitches. Another good thing for Tornados was that many guys got their name on the scoresheet as the rest of the five goals in the game were scored by Uotila, Cannon, Hinkula and Müller. This probably will gives some self-confidence to the team, but it’s important to realize that next Saturday there will be much more challenging opponent as Tornado will travel to Paris to play against Champigny. Champigny is only 3 points behind Tornado, and has played one game less than us and they also won the first game on shootouts. So probably this will be the most important game on the way to playoffs. After the away game against Champigny, Tornado will play their last home game against ACBB which will resolve the final position in the group and also against who we will start in the play offs. See you all again on 2nd of Feb. You were numerous and somethimes loud in this game and we really need you in the future as well. Bring your drums! Written by Sport50 Admin, 20/01/2019 18:00.